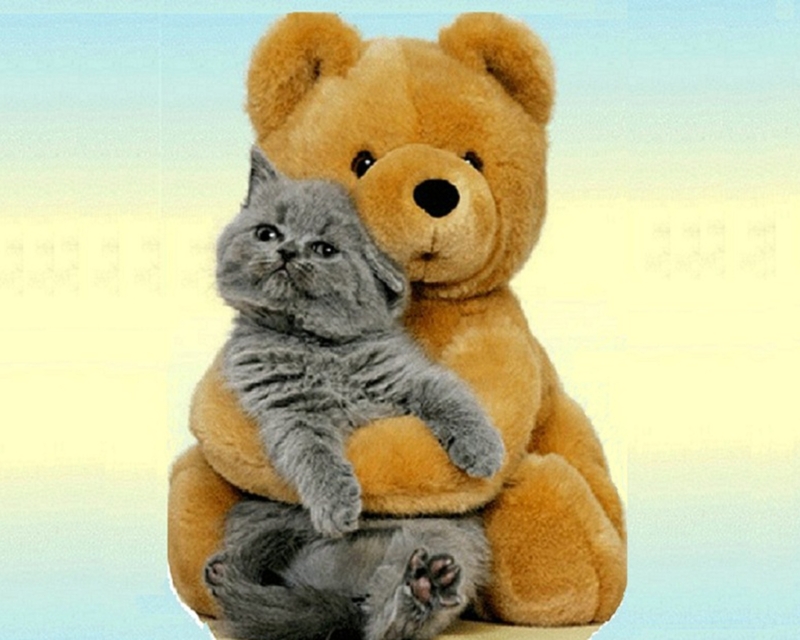 곰 and Cat 바탕화면. . HD Wallpaper and background images in the 고양이 club tagged: cute cat teddy bear kitten. Kitty with a 축구 ball! My 고양이 가장 좋아하는 place!